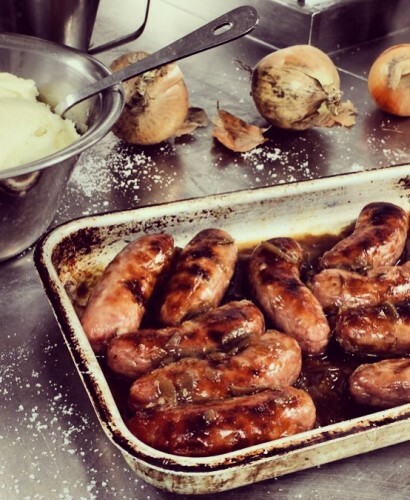 Sausages, mash and onion gravy are a year round hit at Canteen. Now we’re making this comforting dish even better, with our new seasonal special Great British bangers. Join us in February for award-winning pork and leek sausages. Subtly flavoured, moist and meaty; the perfect porker to combat the cold weather this Winter. Our sausages of the month are made by Devon Rose on Gatcombe Farm, using a family recipe passed down through generations of butchers for nearly a century. Like all of Canteen’s meat, the pork shoulder in our sausages is free range. This means the animal has a longer better life, and the meat is healthier, tastier, and better for you to eat.